What could it mean for the economy? Donald Trump’s election campaign in 2016 ripped up the rule book on how to win the Presidency and he has been challenging convention ever since. We are now just 18 months away from the next election, which has the potential to be even more contentious and unpredictable than the last. Already, over a dozen different candidates have announced their intention to run as a Presidential contender. This gives rise to a very broad range of potential political and economic outcomes but, in collaboration with Oxford Analytica, we identify four key scenarios. You can read the full report here. 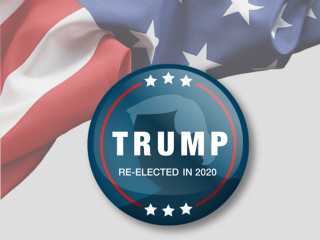 President Trump is re-elected. He retrenches his views on international trade and multilateral institutions. 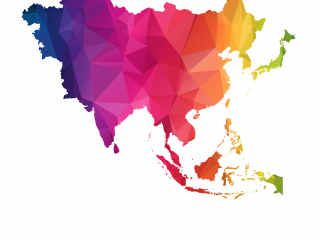 Renewed push for infrastructure spending, reliant on significant state financing and expanded use of localised energy policies to support fossil fuels. Healthcare policy would remain largely unchanged, while regulation of technology firms would rely on congressional action. US politics watch: A Trump win? What are the economic prospects for America if Donald Trump is re-elected in 2020? It's one of four scenarios we're watching. A non-Trump Republican wins, likely leading to another round of tax legislation, along with establishing protections for privacy. The leadership would re-engage with international institutions and take a less antagonistic stance towards external trade relationships. Fiscal conservatism would likely return to the forefront in national and congressional politics, making fiscally expansive budgets unlikely. US politics watch: A non-Trump Republican? What would be the economic consequences of a non-Trump Republican winning the White House in 2020? James Knightley with one of our four scenarios. A centrist Democrat wins. Increased federal spending on both infrastructure and healthcare, as well as increased efforts to establish a national single payer service. Climate change would emerge as a key political agenda, with government support for renewable energies increasing significantly. Technology companies would face increased regulatory oversight. 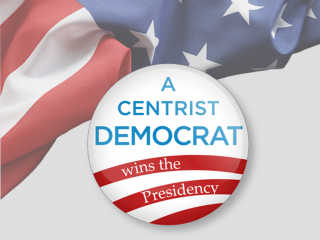 US politics watch: A centrist Democrat? 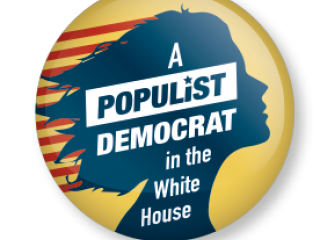 A populist Democrat is elected. Significant fiscal expansion fuelled by increased corporate tax rates, which includes both support for environmental projects (funding a ‘Green New Deal’) as well as redistributive spending. Large technology companies subjected to anti-trust action. Trade protectionism as seen under President Trump to continue, albeit with strong support for international agreements on climate change. We do not offer a definitive conclusion about the likelihood of these scenarios, but instead set out the ways in which they could arise and the potential impact of each one. Moreover, we note that the outcome of Congressional elections will significantly influence the respective types of Presidency, either by making the passing of legislation smoother or more challenging. We address these in detail within the report. The campaign mantra, it’s “the economy, stupid”, first coined by Bill Clinton’s strategist, James Carville, has ruled electoral politics for more than a quarter century, and it remains a key driver in this election, too. 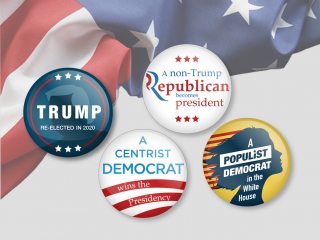 Other issues will of course come into play, such as healthcare and identity politics, but if the US economy remains strong between now and November 2020, the Democrats will have a tough challenge to unseat the President. Should the economy falter and markets take a more negative tone, the door is opened much wider to this outcome. In the grey panels of figure 1 we outline the pre-election economic and market environment that most likely generates each Presidential scenario. Below that, we summarise the potential implications for the economy and markets for 2020-2022. Should President Trump win, we see a potential boom-bust economic scenario, particularly if Republicans also win control of Congress. More fiscal stimulus could initially boost economic growth, equity markets and the US dollar, but it would also generate inflation and result in a more aggressive response from the Federal Reserve that would lead to an eventual slowdown. 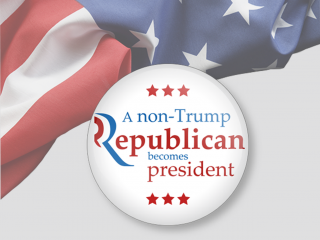 A non-Trump Republican President is likely to change course and be less confrontational on the international stage and may seek a return to a more fiscally conservative stance. This provides a more stable platform for the US economy, resulting in a more modest, less volatile economic and market performance. Given the likelihood that a weaker pre-election economy would contribute to a Democrat Presidential victory, a centrist Democrat would be looking to create a platform that allows growth to rebound. This means that after initial weakness in equity markets and the dollar, financial markets could be moving into recovery mode. Inflation would be low due to economic softness, implying relatively low interest rates. As Washington insiders become consumed by the daily minutiae of the road to Iowa and beyond, we hope that our report will guide investors and observers to identify what matters – and what it all means -- as we head towards the decisive vote on 3 November 2020.